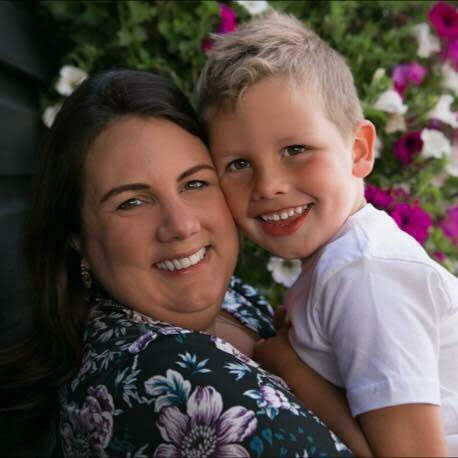 My son turns five years old this Spring so I thought it was a good time to explore the affect Postnatal Depression, Anxiety and OCD has had on our bonding, and our mother/son relationship in the longer term. If you’re a new parent who is currently suffering and worried about how you’re bonding with your baby I hope to offer some reassurance. It was this frightening and abhorrent thought that very quickly led to feelings of panic, entrapment and self-loathing. It led to vivid intrusive thoughts and a fear of being alone with my son, or even alone with my own mind. But did it actually affect our bond or was it only ‘in my head’? I was very lucky that the acute stage of my illness was very short-lived. At around eight weeks postnatal I experienced a breakdown so intense that I had no choice but to seek help. I’m extremely grateful for this. Despite the intensity of my feelings and how long every day felt at this time, in reality it was only a matter of weeks before I had accessed some help and began to slowly learn techniques and coping strategies. Long-term recovery took much, much longer but since I was getting help during that time, and learning a great deal about my emotions and my thinking patterns, I was able to begin cultivating the bond between myself and my baby and, vitally, I began to recognise that our bond had probably been there all along – albeit hidden beneath the Anxiety that had so much power over me. One of the professionals helping me said something that has stayed with me every since. She told me to stop giving myself a hard time about how I felt about my baby because we’d only just met. It sounds strange because we’re so used to hearing about the instant connection mothers and babies feel but her idea actually makes a lot of sense. There are no other instances in life where you meet another human for the first time and are expected to instantly fall in love. Bonding and connection are things that grow and deepen over time, as you get to know each other and spend quiet time together. And the brutal, non-nappy-advert truth is that this is how it is for some women. I’m not naive. I’m not going to tell you that instant bonding doesn’t exist because it obviously does work that way for many, many mothers. And, truthfully, there will always be a part of me that grieves that lost experience. But that grief grows lighter and smaller with every moment since where my son and I have bonded so deeply. Our relationship now is incredible. During that first year of motherhood we slowly began to connect. I began to learn how to manage my anxiety symptoms and was then blissfully free to feel the loving and protective instincts I had had deep down all along but had been too unwell to properly experience. The unveiling of these feelings was intense and beautiful and has led to the relationship we have today. Rightly or wrongly, our emotional bond is extremely honest. I’m not afraid of my son seeing me struggle or cry. I’m not reluctant to frankly discuss with him difficult emotions he may be feeling. I will protect my child from harm as fiercely as any other good parent but I refuse to shield him from strong emotions. I want him to know how normal it is to feel intensely and that it’s okay. I now know the almost painful love that a mother feels for her child and it only grows and grows as they grow. Do I feel guilty for those early months and the horrible questions and images that lived in my head? Of course. I will always feel guilty about that. And, ironically, as I fall more and more in love with him (as this is still happening, I’m not sure you ever stop falling) the larger the gap between your early feelings and your current feelings appears, and the larger your sense of guilt. However, I will never let that guilt consume me. I will never allow it to take anything away from what we have now. I was unwell and it wasn’t my fault. I was a good mum, even when I didn’t think I was, and I’ve learnt to be a better mum every day since. I often post on social media that nobody appreciates peace and joy quite like someone who has known the terror of mental illness, and I often wonder if a similar idea applies here too. Does the gratitude I have for my love for my son actually make me love and appreciate him more than a mother who was free to feel that emotion from the first moment? Since I’m able to appreciate it on a deeper level? Maybe, maybe not. I’ll never know and it really doesn’t matter. Does PND affect your long term bond? In my case I would like to think no. I suppose only time will tell as he hasn’t yet reached adulthood but I feel strongly that my son is very confident in my love for him and always has been. But what about for those who don’t seek help? This is a different situation entirely and something I don’t feel qualified to discuss without much more research. I would urge anyone currently suffering with mood or bonding after childbirth to quickly seek help though – for both yours and your child’s sake. Lastly, I wanted to conclude by saying there are lots of practical and emotional tips for helping your bond to grow while you’re ill and I plan to write about those very soon so make sure you subscribe below to be alerted. Meanwhile, if you’re currently struggling and want to talk to someone who’s been there feel free to message me on my Facebook page for a chat. Follow the Lotus Petal Parents You Tube channel where I’ll soon be joining it’s founder – Sarah Wood – to post a video a week re parenting & mental health. I really enjoyed reading this post. I’ve not experienced PND (and don’t currently have children), but I have experienced depression and anxiety. I know the importance of seeking help and the impact it can have on my relationship with others if I don’t. I’m glad that you feel that your bond between you and your son is as strong as ever.- I think being honest with him and not hiding your emotions is definitely going to just strengthen that bond further. Thanks for sharing! Such an honest post. I am a PND survivor too. Three times (although, I’m still in the midst of the third). The second time was far worse than the first. This time is even worse again. My bond with my first is great despite the fact he’s turning into a stroppy teenager… and my bond with my third (my 2nd brush with PND) is even better. I’m still getting to know my third. I have suffered from depression and anxiety since being a teen and in all honesty, I found the post-baby months really hard. My husband worked long shifts to support us and I felt very much alone. In fact, I’m nervous about it again this time around too – despite it being 8 years later and us being in a much better place. Well done for seeking help when you needed it – it’s such a brave step to make and one that a lot (myself included) put off for far too long! Totally love what you were told. And how true? We are just meeting our babies for the first time! 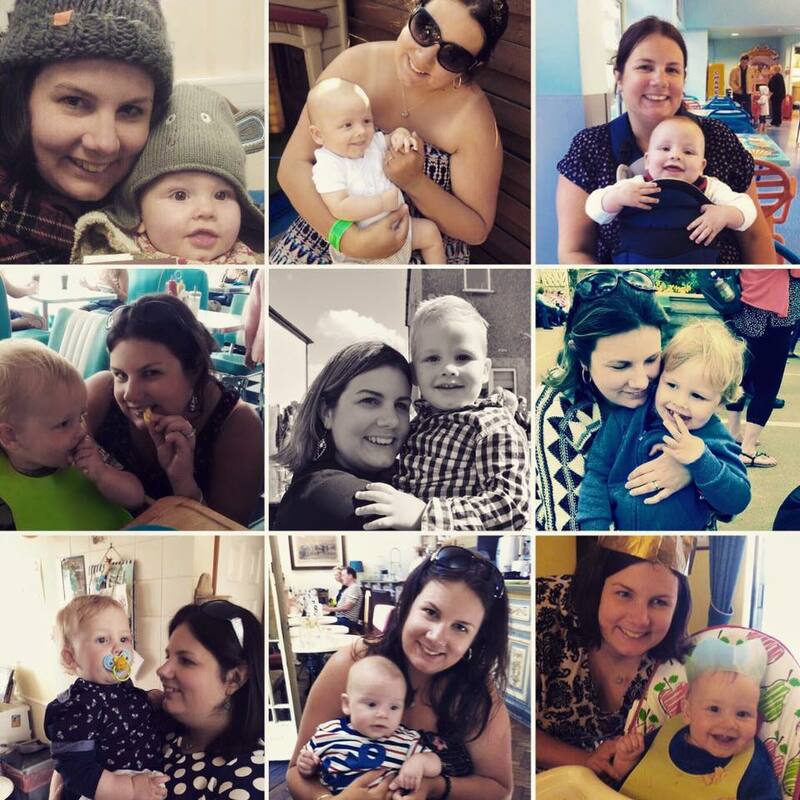 I also got caught up on this whole instant love thing, and while I am sure some mums DO experience it, most are feeling frightened, overwhelmed and struggling! I never had PND but do understand how terrible it can be. So glad that you managed to find help and so good that you don’t think it has affected the long term bond you have with your little boy! A national clearinghouse that offers information, treatment referrals, educational materials, telephone support, and support groups for new mothers as well as links to information for new dads. I had PND twice out three births. My eldest is 11. I sort help quickly with him. 8 weeks in I recognised this awful feeling was getting worse. We still struggle massively. His behaviour has led us to seek outside agency input. Each new appointment I’m asked so did you have PND. I am fed up with the implied blame that comes with it. The other child I also had PND with we have the most amazing bond.